If you think cacao is only good for making chocolate, think again. Scientists from UP Los Baños (UPLB) have discovered and developed a new product that comes from a most unlikely source, one that’s considered waste—the cacao pod husk. 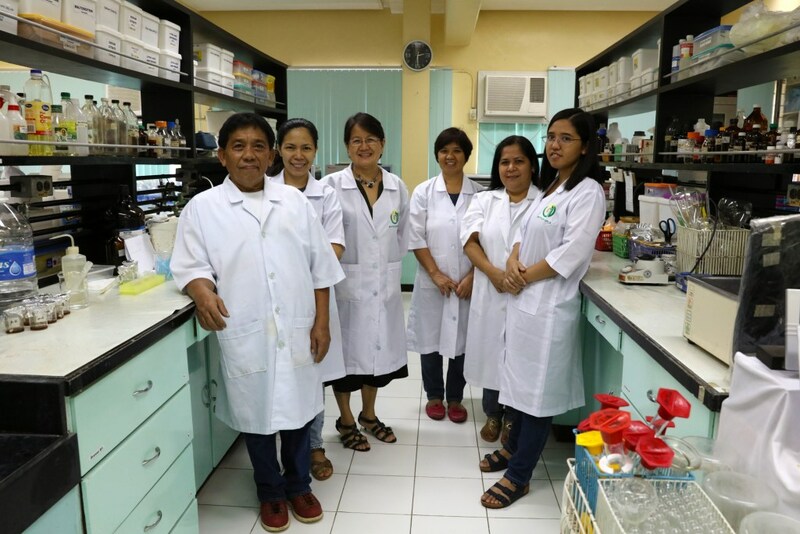 At the Food and Feed Laboratory of the UPLB National Institute of Molecular Biology and Biotechnology (BIOTECH), researchers Tess Ramirez and Arcie Sapin have found a viable dietary fiber source in the husk that’s discarded after the precious cacao beans have been harvested from the pod to make chocolate. They processed the husk, treated it with enzymes, and developed a powder as food supplement for human consumption. The trials involved feeding the mice with the cacao pod husk powder, a commercially available dietary fiber supplement, and glibenclamide, an anti-diabetes drug. It also included one that wasn’t given any drug or supplement at all. Among all the mice, the ones who were fed the BIOTECH product had fasting blood sugar level results comparable to those who were fed glibenclamide. According to the Office of Dietary Supplements of the United States National Institutes of Health, dietary fiber “adds bulk to your diet to make you feel full, helps prevent constipation, and may help lower the risk of heart disease and diabetes.” The United Kingdom National Health Service says it is “an important part of a healthy balanced diet” and can help prevent weight gain and some cancers. Ramirez and Sapin’s dietary fiber powder is good news not only for diabetics, those with high levels of low-density lipoproteins or bad cholesterol, and those with indigestion. This alternative dietary fiber source is also a welcome development for those who want to achieve a healthier body. And the positives just keep on coming. Ramirez and Sapin had to figuratively add a chef’s toque to their lab gowns when they explored food applications for the powder. 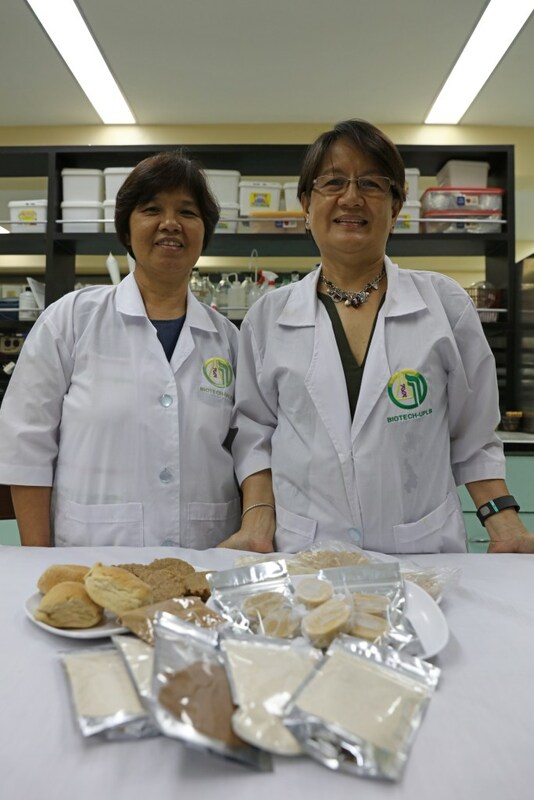 Their fellow researchers at the Food and Feed Lab were more than willing to be guinea pigs and sampled the food items: pan de sal, mamon, polvoron, muffins, cookies, and tortillas. The verdict? “They said our test products were delicious! Everything had a hint of chocolate.” And that’s not necessarily a bad thing. After all, most people love chocolate. Although Ramirez and Sapin were concerned with the powder turning the food products a bit brown, they said most high-fiber foods are brown in color anyway. Aside from the baked goods, they’ve also come up with pancake and butterscotch mixes. Healthy and nutritious? Check. Versatile? Check. Can it get any better? Ramirez and Sapin’s work has produced a high value product from cacao waste—a huge step in helping the Philippine cacao industry manage waste from processing. It was Dr. Rene Espino, former division head of the Department of Agriculture’s High Value Commercial Crops, who posed the challenge of waste utilization from existing agricultural industries. In the Philippines, cacao has been recognized by the national government as a crop with high local and international demand. In fact, the Philippine Cacao Industry Roadmap was signed early this year at Malacañan Palace to strengthen the industry of what is now considered a very important global commodity. So not only have Ramirez and Sapin managed to come up with a product that’s healthy, edible, and tasty, but they’ve also found a way to use what was previously just rubbish to help decrease waste products from cacao industries. The last bit of positive news? They’ve already filed a patent application for their cacao pod husk dietary fiber powder early this year. The product’s name is still a mouthful but no doubt Ramirez and Sapin are already thinking of a more catchy label.